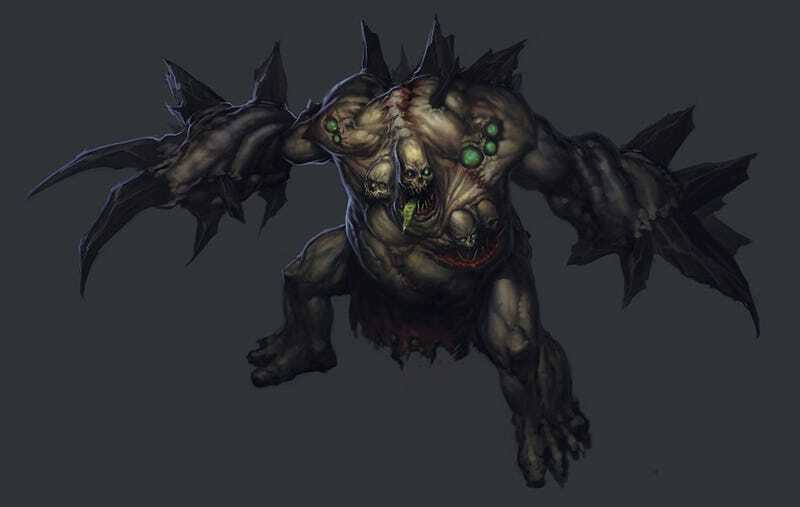 Blizzard has updated the Diablo III bestiary with a new entry and new screens featuring The Unburied, undead beasts born from the improperly cared-for dead. As you can see, The Unburied are large, shambling beasts made up of the discarded body parts of people disposed of unceremoniously in mass graves. Better yet, let's let Diablo III's writers explain it. Being born out of pits of human misery, these beings feed on human suffering. Wherever bodies are dumped together unceremoniously, the unburied may rise. I cannot help but wonder if this be some sort of cosmic justice for our inhumanity to our fellow man. But what is the catalyst? What animates these things? What makes them so horrendously different from the run-of-the-mill zombies or "normal" skeletal undead? If you ask me, I blame society.